Johnny Seamster is very well known throughout Southern Virginia as the “Landman”. 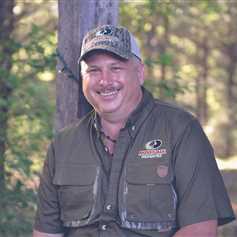 He grew up in the hardwood timber business and has been avid outdoorsman for over 36 years. He owned and ran a real estate company for 8 years with his longtime friend and he also owns an outfitters business. After working a few jobs he got settled in doing real estate in 2005 thus allowing him to get back into land and timber. His father told him growing up “you will never work a day in your life if you enjoy what you are doing”. Johnny says “he has never worked a day since going into real estate”. He and his business partner bought out the company they started with in 2008. They had an opportunity to form a partnership with Mossy Oak Properties of Virginia in 2016. Johnny’s love for selling land the outdoors makes him a great fit to Mossy Oak Properties of Virginia.